“Listen & Learn” would be the movement I think would create the most amount of good. The world would be a better place if people would take more time to hear from and empathize with people of other backgrounds, experiences, and perspectives. Think of all the problems we would solve if people just took one day of the year to listen and reflect on the perspectives of people with divergent opinions to their own. I had the pleasure of interviewing Nolan Walsh, CEO and Co-Founder of Thursday Boot Company. 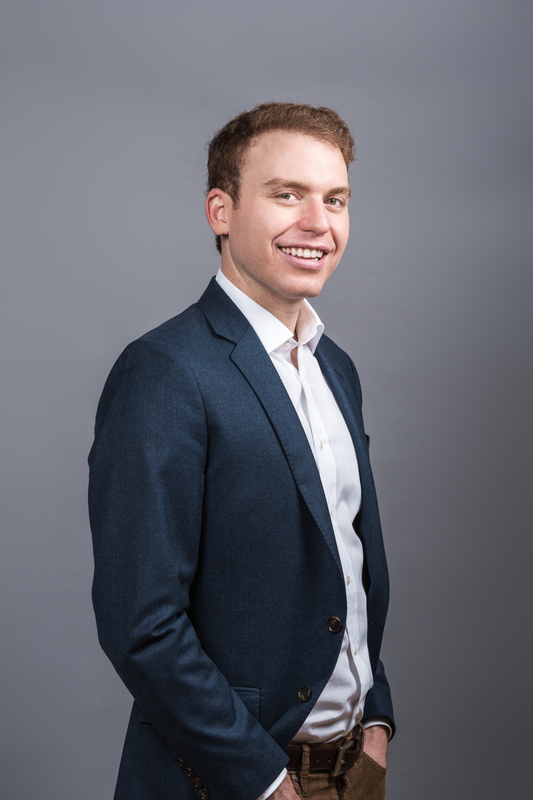 Nolan is a lifelong entrepreneur and designer with ventures ranging from Energy Harvesting to Event Promotion; along with 3 years’ experience Investment Banking at Barclays Capital. During his time at Columbia Business School, he was an InSITE Fellow and Dorm Room Fund Partner. Nolan is from Nevada, but now resides in New York City and holds a BSBA in International Business, Finance and Management from Washington University in St. Louis, where he also received the Kay Roh award for leadership in the community. Nolan has a passion for technology and design, and focuses on creating quality boots at a reasonable price. I was born in Las Vegas and have slowly drifted to the east coast. I went to Washington University in St. Louis for my undergraduate degree and have been in New York City ever since. Professionally I was always interested in entrepreneurship, and I dabbled in quite a few different fields. Thursday Boot Company came about as a “just for fun” project while I was attending Columbia Business School. My co-founder Connor Wilson and I knew we wanted to work together, thought it would be fun to make boots and just fell in love with the product, manufacturing and building a brand with our values. The rest is history! The most interesting thing, at least from my perspective, is how most of our best hires were our most spontaneous hires. All three of our first hires were friends who volunteered to help because they thought it would be fun and interesting. As we’ve continued to scale our team, we look for a similar ethos in new hires. I value a candidate’s passion for both the brand and the role over any other data point. The three most important principles from my perspective are Communication, Decision-Making, and Shared Strategic Vision. We value a commitment to these principles as opposed to a commitment to specific tactics. Communication should always be direct and explicit. It’s healthy and normal to disagree with each other, and people sharing diverse opinions should be celebrated. All communication, especially written communication, should include both objective truths (data) and clear subjective opinions. Decision-making (i.e. who decides what) needs to be clearly delineated. For every operational category, it is important that one person is specifically accountable for a set of decisions. Shared strategic vision is crucial. Decentralized decision-making allows teams to move faster. However, it only works when there is a shared strategic vision. It pays dividends to make the time to lay out goals and KPIs, and to clearly document why those are the appropriate goals and KPIs. Software and other functional tools only work if a team fundamentally knows the strategic vision, who makes what decisions, and a high degree of specificity is required in communication. Communication can be difficult with teams in different geographic regions. It can be hard to explain nuances when not in the same room. Stop thinking of your team members as employees. Think of them as Partners! You can’t reach your goals alone. If someone is willing to dedicate their time to your project, treat them right! Invest your time in making strong hiring decisions. If a candidate doesn’t know what they want and doesn’t have passion for your organization or their potential role, there is a much higher probability it won’t work out. In four years we’ve never had a full-time employee quit, and I think that has a lot to do with our hiring decisions and ‘partner’ mentality. Once a person joins your team, I think treating people respectfully and explaining ‘why’ certain decisions are being made goes a long way. Be open to critical feedback: people were overall happy with our product, site and customer experience when we first started, but the team and I personally have always had a commitment to strive to genuinely give our customers exceptional value and service. For nearly four years, on the last Saturday of every month I sit down to read all negative feedback we have received for the month. While it can be painful at times, this openness to criticism has lead to exponential improvements across the business and has allowed us to form strong relationships to supporters who were formerly some of our strongest critics. Get your hands dirty: if you don’t know the nuts and bolts of how something works, it is much easier to make strategic missteps. It’s your baby, but it’s theirs too: if you have a team and customers that care about your business, consider yourself lucky! When often survey our community via email and social media. We involve people in the selection of product names and designs, and we get thousands of people’s input. Many of our best ideas originated with a customer’s suggestion. Treat people right: if you genuinely care about your team and customers’ well-being, they will notice! The easiest way to get your team and customers to care about you is to show you care about them! It doesn’t get easier: when we first started Thursday and I was working 18 hrs/7 days per week, I told a friend who had built a much larger company at the time “I can’t wait until I hire X person and finish Y, then I’ll finally be able to relax.” My friend looked at me and said, “I’m going to tell you something that I wished someone had told me- it just gets harder.” While I brushed the comment off at the time, it’s a story I like to share will all entrepreneurs who ask me for advice. Expect for more tough decisions. Expect for new sets of ever-growing pressures and challenges. Expect everything to get harder as you scale. Expect for a hard road ahead, so that you can be prepared. As people, we are allowed to change our opinions. We can make mistakes and be wrong sometimes! Maintaining an open-mind to the idea that my opinions might be wrong allows me to continuously learn and improve myself. By always speaking truthfully and wholeheartedly, I give others the chance to evaluate my opinions, correct me when I am wrong, and help me grow as a person.